Laundry soap is not something most active people dwell on. But how you wash your clothes — and with what type of detergent — will affect how the clothing looks, smells, and performs. A new company, Active Detergent, gives an alternative to commodity laundry soap. Its namesake Active Wear detergent is made of an organic, plant-based enzyme formula that can penetrate the tighter weave of synthetic fibers found in performance clothing. Active Wear is made for base layers, technical and wicking T-shirts, running wear, leggings, tights, sports bras, and any other clothing you get sweaty while wearing. Its ingredients include sodium bicarbonate (aka baking soda), sodium carbonate, sodium chloride, a “proprietary enzyme blend,” and more. I tested it out this month for a review with a pile of sweat-soaked clothes after a session at the climbing gym. I also washed a variety of technical clothing, a swimsuit, running shorts, and multiple T-shirts (cotton, synthetic, and merino wool) for the laundry detergent test. One thing I noticed immediately is that this detergent is unscented. Unlike traditional or mass-market laundry soap, there are no artificial fragrances to mask odors. Instead, Active Detergent claims its enzyme formula breaks down the sweat and bacteria that cause odor, dissolving trapped body oil and contaminants. No need for an odor-masking chemical. With my clothes in the washing machine, I tossed in a scoop of the white powder. It costs $20 for a bag, which will manage about 90 laundry loads. 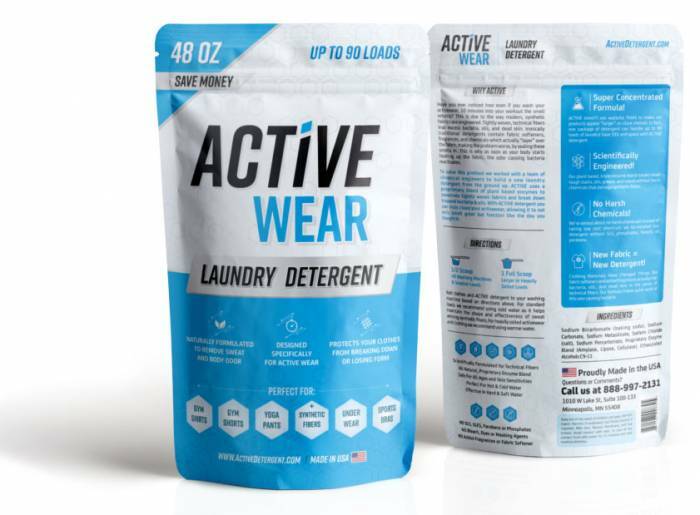 Active Wear detergent is made in the USA and new to the market this year. Do you have any workout clothing that never seems to get clean? I do. There are shirts I regularly run or climb in — and no matter how often I wash them, they seem to retain odor. Another phenomenon is that the shirts smell clean but then quickly become stinky after I heat up when beginning a workout. I thought it was just me! But some technical shirts in my closet are more prone to odor than others, so I was flummoxed. After talking with one of the founders at Active Detergent, I learned the never-quite-clean syndrome is not unique to my workout wardrobe or my personal biochemistry. Indeed, it may have a lot to do with the commodity laundry soap found on my basement washing machine that we buy at the grocery store. I never gave the detergent I use much thought before. Active Detergent explained that because technical and performance fabrics are most often made with manmade fibers woven tightly together, contaminants can get trapped deeper within the material. This, in return, can trap odor-causing gunk and also might impede the sweat-wicking or other performance features of a garment. Traditional laundry soap, which often includes fabric softener and artificial scents, can “actually coat over the trapped contaminants and lock them into these pockets,” the company claims. See the brand’s illustration above. Something like the above was apparently happening with one performance shirt I owned. As noted, it seemed to start stinking almost immediately after I began a workout. I washed it in Active Wear, and the phenomenon was gone. The shirt seemed newer again, too. Its fabric felt scrubbed and revived. In the end, I recommend Active Wear or a similar natural ingredient detergent without scents or softeners. It is a good option for workout clothing and technical apparel. See a few tips below on washing workout clothing, sleeping bags, merino wool, and more. Depending on the load size in your washer, add one to two scoops of detergent. Wash on delicate cycle, and always wash with cold water — hot water can be bad for some technical fibers. After the laundry cycle, take the clothing out immediately — don’t let the wet clothing sit inside the machine all day before you dry it. Leaving clothes in a machine can make them smell again. Durable clothing can be put in the dryer. But hot air inside a dryer can harm some technical or delicate clothing. Air drying is a better idea for most technical apparel. Use a clothesline indoors or outside. Let the clothing hang until completely dry. For more delicate clothing, including some yoga pants, workout tights, and leggings, you can consider washing the items by hand. It’s the gentlest method. Use a sink or a bathtub. Fill it most of the way with water, and then add a scoop of detergent. Make suds by agitating the water by hand. Active Detergent recommends putting your clothing in the water and letting it soak for at least 30 minutes. After that, wash the clothing by hand. Simply rub the fabric against itself with your fingers. Drain the dirty water. Finally, rinse the clothing with clean water. This will wash away all the detergent. Now, they are ready to dry. Wool, most notably merino wool, has become a preferred performance fabric for many people who hike, run, and work out. Wool offers a natural fiber option that has inherent anti-odor features. It’s comfortable on the skin, too, with modern formulations avoiding any itch associated with the wool blends of yore. A laundry soap like Active Wear is the best kind for many types of wool. This includes wool socks and merino wool clothing. Its sodium bicarbonate-based formula contains only what’s needed to get wool clean. Fabric softeners or added scents can hurt wool’s effectiveness and lifespan — Active Wear does not have either in its formula. Another great use for Active Wear beyond your hiking gear or sweaty workout clothes is as a sleeping bag detergent. After a long trip, you will want to clean your sleeping bag. But traditional laundry soaps may not be a good idea. Active Wear will clean your sleeping bag without any of the added scents or softeners. Those are not needed and indeed may harm the fabrics and insulation in a synthetic sleeping bag. 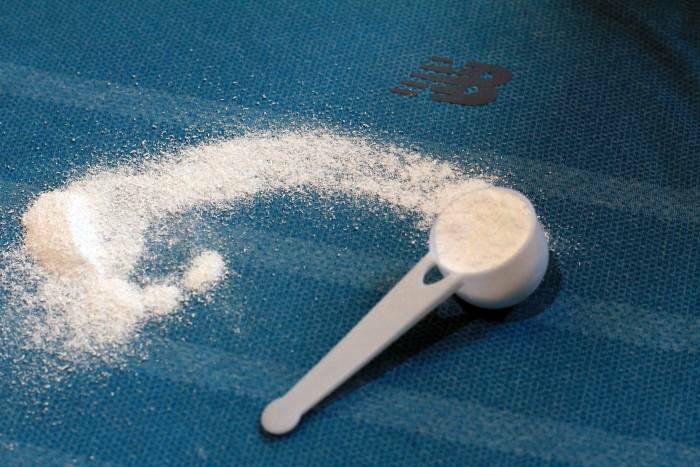 Bleach can compromise bag performance; Active Wear contains no bleach or bleach alternatives. Wash a bag in a delicate cycle and in cold water. Be wary of top-loading machines with agitators; a sleeping bag can get twisted up on an agitator and damaged. To dry, you can use a commercial-size dryer on low heat. Or hang to air dry once washed. Note: Each sleeping bag is unique. Be sure to read the manufacturer’s washing instructions printed on the bag. And be cautious with down — especially hydrophobic down. 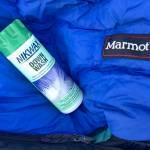 We recommend Nikwax Down Wash for down sleeping bags or puffy jackets. It not only washes down well but also reinvigorates its DWR coating. Read our complete guide on how to wash a down sleeping bag here. Like sleeping bags, technical gear requires special care when cleaning. Jackets, snow pants, outerwear, base layers, and midlayers fall into this category. Be sure to read all manufacturer’s washing instructions. But in general, a natural detergent can remove the sweat and smell from performance clothing and outerwear. Again, Nikwax makes another good option for technical outerwear. Nikwax Tech Wash revives the DWR coating of a jacket and works well with waterproof-breathable jackets. However, a pared-back (natural) detergent formula can also work for washing performance gear.